The International Astronomical Union (IAU), the largest professional body of astronomers in the world, adopted a strategic plan in 2009 that aims to realize the global developmental benefits of astronomy. In order to implement this plan the IAU established the Office of Astronomy for Development (OAD). The OAD exists as a global coordinating center for “astronomy-for-development” activities, tasked with establishing and strategically coordinating Regional Offices and Language Expertise Centers across the world. Currently there are ten OAD regional offices in Armenia, China, Colombia, Ethiopia, Jordan, Nigeria, Portugal, Thailand and Zambia and Netherlands. East Africa Regional Office of Astronomy for Development (EAf-ROAD) is one of OAD offices in Eastern Africa hosted by Ethiopia. EAf-ROAD office was opened in Ethiopia in 2014 as an East Africa Regional node of OAD under agreement between IAU and Quadrilateral Parties in Ethiopia: Ethiopian Space Science Society (ESSS), Ministry of Education (MOE), Addis Ababa University (AAU) and Ministry of Science and Technology (MOST). 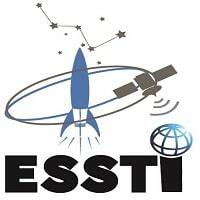 Currently the agreement is amended and EAf-ROAD is hosted by the newly established Ethiopian Space Science and Technology Institute (ESSTI) and accountable to Ministry of Science and Technology (MOST) with direct supervision of both ESSTI and MOST. The main objectives of the office is to further the use of astronomy as a tool for development by mobilizing the human and financial resources necessary in order to realize the scientific, technological and cultural benefits to society and implementing the IAU’s strategic plan and missions of OAD. Implementation of the IAU Strategic Plan: The regional office will implement the Strategic Plan (SP) which was set by IAU and under the guidance of OAD in realising the benefit of astronomy for development. Strategic advice and guidance: The regional office along with OAD, guided by the SP and a global view of development activities, provide strategic advice where needed to individuals and organisations involved in similar activities. They also collect evidence and best practice into a library that will be used to guide astronomy-for-development activities. The regional structures of OAD should be the “first port of call” for development activities using astronomy. Coordination and Facilitation: The regional office coordinates and facilitates regional activities. Such efforts do not imply necessarily carrying out activities on the ground but rather sourcing partners or volunteers and providing them with the contacts, assistance and guidance necessary for them to implement regional project, training’s, workshops , research collaboration and exchange of expertise within and outside the region. The regional office along with help of OAD, regional member countries and partners seek to acquire or assist in the acquiring of funding and infrastructure for regional projects and training’s. There may be specific developmental projects which are managed and administered by regional offices and or by the OAD, especially if there is a need to test, evaluate and develop best practice around a particular idea. The regional office will strive to implement such projects. Coordination of Contacts between the IAU and National Authorities in the region. Provision and dissemination of information, resources and current affairs of the region continuously via full-fledged website.